You said: “All that can be said about NEW YORK is: Sigh.” I hope they do well this year anyway… for your sake. 🙂 Good luck!! Here’s a twofer foul ball story for you – of the Little League variety. I’ll try to make this as succinct as possible. Summer of ’79, I’m pitching to a kid from my neighborhood (we’ll call him Ricky) and he manages to foul a high, inside pitch off of his own face. He ends up crying and goes to sit on his (enormous, loud-mouthed) mother’s lap down the first base line. His mother proceeds to yell at me for the next few innings. During Ricky’s next at bat his mother is really letting me have it, screaming that I’m a dirty pitcher and that I shouldn’t be allowed on the field. Ricky ends up swinging late at one of my offerings, lining the ball off of the leg of his mother’s lawn chair – causing it to bend in half and send her sprawling/rolling toward the team bench. After I struck out Ricky, she grabbed him and the broken lawn chair and left before the next inning. There was joy in Mudville that night. @Clarybird Bwhahahahaha ROFLMAO 😀 Talk about instant karma…….did either of them ever show up for a game again?? @clarybird – Oh, for a time machine and a camcorder, to capture the footage of THAT event!! Stephen Hawking can no doubt rattle an equation off the top of his head, calculating the physical odds of a ballplayer’s own mother getting hit with a flying ball. The odds of that happening must be . . . staggering. Maybe these guys are really aiming for the ex-wife in the hope that the flying ball puts her out for a few minutes. But does that ever happen? Noooooo. Stoopid ball ends up smacking someone’s innocent mama instead! OK friends, I’ll add an epilogue to the Clarybird chronicles of 1979. To give you an idea of what Ricky’s mom looked like, just think of the Milwaukee Brewers “Barrel Man” mascot from the 70’s. Yes, Ricky and his mom kept coming back throughout the years, but I don’t remember ever receiving any more verbal abuse. I was a reasonably mild-mannered, respectful kid back in my childhood and never gave this woman a reason to dislike me. Whereas I once avoided this woman’s gaze in hope of avoiding her ire, from that point on, I couldn’t help but smirk whenever I saw her – knowing it was killing her inside because she knew why I was smiling. To his credit, Ricky was a pretty nice kid, in spite of his mother (and hen-pecked father), and we were always reasonably friendly to each other. Keith, in your predictions do you have one NLDS match-up between the Rockies and the Giants? Because that can’t happen. The Rockies would have to play the East or Central winner with the fewest wins. Looks like your Phillies prediction is already coming into fruition—Blanton’s hurt, and I find it hard for them to keep relying on Ibanez and Utley, both of whom aren’t getting younger. The Braves’ rotation may be thin, but they have a younger core, and if this isn’t their year, 2011 will be. It should be a close race regardless, with the Marlins playing spoiler (their rotation is thinner than Atlanta’s). Couldn’t agree more on Jim Riggleman, Mr. Olbermann. As much as I’ve heard that Manny Acta was awful in his first go-round as a skipper, I think he was the perfect manager for a team that’s building the way Washington is, through the draft, and by acquiring other teams’ young talent in return for veterans with expiring contracts. The Nationals should have let Acta grow with the team or replaced him with the sort of up and coming manager who would be part of their long-term plan instead of Riggleman, who figures to guide them through a few more losing seasons and then step aside. 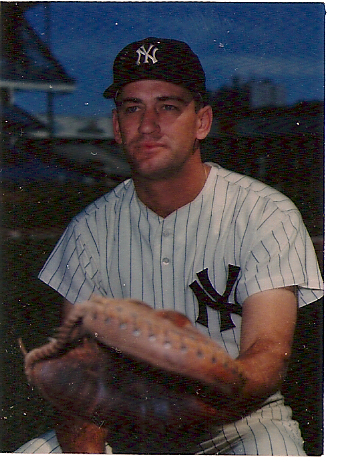 You might be right about Listach too, Lou Piniella referred to him as, “one of the game’s rising managerial stars,” when Washington hired him as 3rd base coach a few years back. Thanks for taking a serious look at the Nationals instead of a chance to get some easy jokes in on the Nats. With Strasburg, Zimmermann, Zimmerman, and hard-nosed pitchers like John Lannan, the rest of the East will come to regret giving Washington all the high draft picks they’ve been forced to take. When I heard of the Denard Span incident from a friend of mine yesterday, the first thing I thought of was … well, Chuck Knoblauch & Keith’s mom. But my second thought was the astonishing coincidence that it happened on the very same day that this Peanuts comic ran in daily newspapers. Uncanny. Two short postscripts, one re: Keith’s entry on the fantasy baseball draft. Casey Blake is worth way more than a dollar. Nothing flashy, just solid, steady, a reliable 20 HRs/80-90 RBIs year in, year out, and — not that these qualities can be revealed in statistics, I guess — a good clubhouse guy w/ a dry sense of humor. Just a good egg … a bargain at 10x the price. Ted Williams once threw his bat–not so much into the stands; he just threw it–and it hit the housekeeper of the then-Red Sox GM, Joe Cronin. Mike Stanton’s unwise trade away from the Braves in mid-1995 is rarely remarked upon, but it’s always stuck in my craw. His perennial presence in the middle of key October innings for the Yankees was always a mixed thing for me. I liked him personally and was happy for his success but I couldn’t help but wonder how well he would have been doing as a set up man or closer back in Atlanta. Hoping for a happier set of circumstances in six months time. jMjQyk That’s way more clever than I was expecting. Thanks! Absolutely amazing blog! You are a great writer. Thank you for sharing this with everyone!